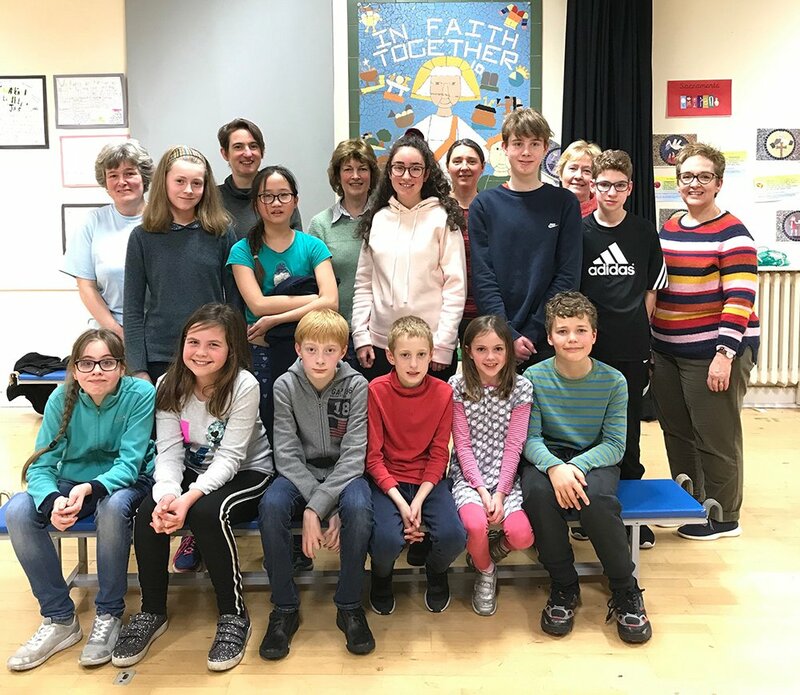 The youth group from St Aldhelm’s Malmesbury is a fantastic example of Youth Ministry in a rural parish in the Clifton Diocese. Three years ago, a group of adults who wanted to see young people being part of the parish, met with Dave Wheat, Diocesan Coordinator of Youth Ministry to see what could be done. After around a year of planning meetings, formation and training, the group began with a simple session where young people could relax in an informal environment and encounter different forms of catechesis and prayer. The group meets once a month with around 15-20 young people attending, with the older young people taking on leadership roles for different games and activities. The volunteers dedication and caring approach to young people shows what a relatively small parish can achieve in Youth Ministry.